The Boston Bruins are launching an ambitious effort Monday to bundle all of their digital, mobile, and social online assets under one umbrella brand, so the team and its fans will more easily tweet, friend, and pin each other. 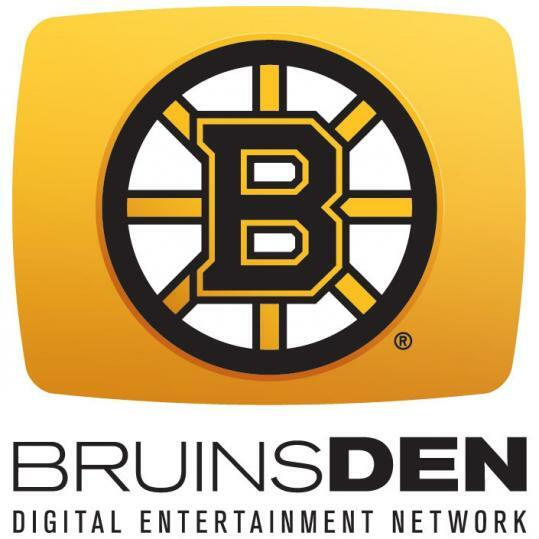 The new Bruins Digital Entertainment Network will include more than a dozen properties, including the team’s Facebook and Pinterest pages, Twitter accounts, a mobile app, and a YouTube video channel. The team is also planning to use the network to better understand the digital habits of its younger fans, who are heavy users of the Internet and mobile devices, and to develop new marketing and sponsorship initiatives. The Bruins are launching a campaign with the Heluva Good! food brand that shows how the network will work. The cheese and dip company will sponsor a weekly “Heluva Good Play of the Week’’ that will be shown on the BruinsTV channel on the team’s website. The video will also be referenced and linked to from across the new network, from the team’s Tumblr blog to a Pinterest page that is written from the point of view of the Bear, one of the Bruins’ promotional characters. Like other sports teams, though, the Bruins want to harvest more analytic data on and off the field, Zola said, and the network will help. “You see it in ‘Moneyball’-type analysis of players and also in the way teams are using online media to better understand their fans,’’ he said. Many of the elements that make up the Bruins network have been operating independently, and attracting substantial audiences. BostonBruins.com averages more than one million unique visitors per month and is ranked as the most trafficked National Hockey League team website in the United States. The website’s TV channel, BostonBruinsTV.com, averages more than 750,000 video starts per month. The Bruins official Facebook page has more than 1.1 million “likes,’’ which ranks second overall among NHL teams, and generates 10 to 15 million impressions per month. More than 165,000 users follow @NHLBruins on Twitter for Bruins-related news and commentary. The team also has a Boston Bruins mobile app, sponsored by AT&T, that runs on the three major platforms: Apple Inc.’s iPhone, Google Inc.’s Android operating system, and Research In Motion Ltd.’s Blackberry. The Bruins’ Latimer said the new network has the ability to record more than 30 million impressions per month, and the team has signed up with digital audience analytic company Umbel Corp., of Austin, Texas, to collect and analyze data from the network. Users of any of the Bruins Internet and social media properties, such as Twitter and Facebook, are not likely to notice any changes other than more frequent linking to other Bruinsrelated properties. The new network will not have a single access point or hub; instead, it consists of a more tightly integrated and managed suite of Bruins-related online and mobile properties. It will have a dedicated page on the team’s website that will highlight all of the channels within the network. The Bruins expect the data collected with Umbel will help the team work more strategically with corporate partners. For example, if the team has data showing that the majority of its fans on Facebook are also fans of a consumer brand, the team will be able to go to the company that owns the brand and suggest that both be marketed together. If the Bruins send out a tweet through @NHLBruins, Latimer said, the network will be able to track how many retweets, comments, and replies it receives. The team can then use that baseline data to help it determine what type of content will make the biggest impact. In the end, she said, the Bruins will be rolling out more content and sponsorship opportunities.